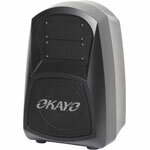 Okayo® Wireless Portable PA Systems. For over 20 years Okayo have been producing portable public address (PA) systems designed to offer instant sound for events, demonstrations and training. Altronics have been an Okayo distributor for over 10 years and we have found them to be the most reliable and high performance PA units weve ever sourced. 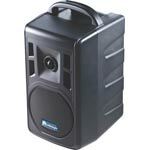 We sell hundreds of PA units every year to clubs, places of worship, schools and wedding celebrants. Theyve even proven to be robust enough for the equipment hire industry! The Okayo range spans several wattage ratings depending on the size of the crowd you want to address. If you find you need more power, you can purchase additional PAs (of any type) and link them together using the wireless link modules. 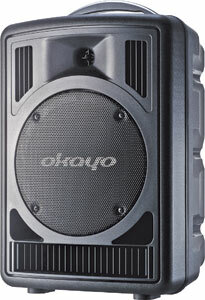 If you need an easy to use instant sound system for your institution, you cant go past an Okayo Portable PA! . Excellent vocal and music reproduction for crisp, clear sound. 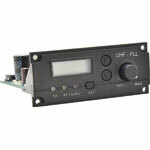 High performance 96 channel wireless UHF receivers, compliant with Australian frequency requirements. Lightweight design with handy features such as luggage wheels and extendable handles. Wireless link for scaling up to larger events of 1000+ people. Backed by a 3 Year Manufacturer Warranty. All Okayo Portable PA systems are backed by a 3 year manufacturer warranty with Australian local service and support through Altronics, the Okayo authorised service centre. Altronics carries a full range of locally available spares for all models of Okayo portable PA. *Note: excludes normal wear and tear. First battery replacement is FREE. For added peace of mind Okayo offers your first replacement battery free of charge over the lifetime of your portable PA system. This is a free service provided via local authorised service centre, Altronics. Conditions apply. 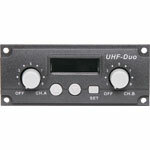 Designed to fit the portable PA systems that are 640MHz. Please check the frequency of your microphones/Okayo PA before making your purchase. 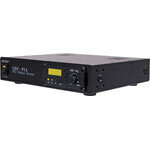 This Wireless Link Transmitter is an optional extra for the Okayo Compact 40W and 80W Portable PA Systems. 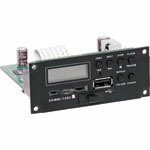 It operates on 640MHz, please check your system specification/model before making your purchase. 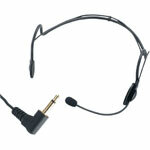 Headset microphone to suit C 7316 Beltback and C 8810 tour guide system. 3.25mm jack plug connection. 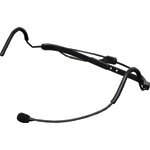 Headset microphone to suit C 7195B and C 7195C Beltbacks. 3 pin Mini XLR connection.